The renowned German lens maker Carl Zeiss has accused the South Korean lens maker Samyang of copying its designs. As a result, the Samyang lenses at the center of the dispute are being pulled by distributors and retailers. The Swedish website Monitor reports that the Samyang Premium XP 50mm f/1.2 and 85mm f/1.2 lenses are the ones Zeiss has issues with. 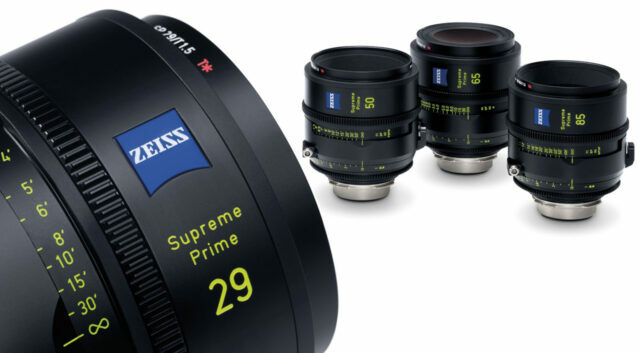 ZEISS has announced a new set of Cinema Primes suitable for the Large Sensor Format. The ZEISS Supreme Prime Lens Line will be mostly rated at T 1.5 and compatible with PL, LPL and EF mount. With ARRIs announcement of the large sensor Alexa LF back in April, we knew it was only a matter of time before more large-sensor-specific lens lines would surface. The ZEISS Supreme Primes have an image circle of 46.2mm and are the first from the German company to be specifically compatible with this large sensor format. Zeiss has teamed up with Fellowes Brands to announce an intriguing new product line at CES. The duo utilizes Fellowes Brands pedigree of smartphone photography technology and Zeiss’ wealth of lens manufacturing history to bring an iPhone lens trio. Pictured is the existing Exolens accessory mount by Fellowes Brands. It provides a solid platform to mount an additional iPhone lens, as well as a 1.4″ thread on the bottom for further mounting. Zeiss have provided the optics to make up 3 new lenses for the iPhone 6; a wide, tele, and macro zoom lens.